One of life’s greatest pleasures is a simple grilled cheese sandwich — all buttery edges and gooey cheese. 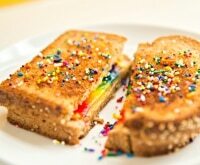 I love taking a classic grilled cheese sandwich from simple to glam and I’ve rounded up a few delectable gourmet grilled cheese recipes for you to try at home. 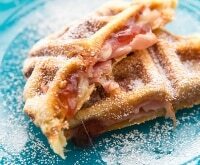 Did you know you can easily make a tasty gourmet grilled cheese sandwich with a waffle iron? Let your kiddos help make these delicious waffle iron recipes, including grilled cheese and so much more! Make your gourmet grilled cheese sandwich a budget bite with coupons for Kraft® cheese, Philadelphia cream cheese, Wonder® bread, and Land O’ Lakes® butter, plus coupons for dozens of delicious toppings and fillings! 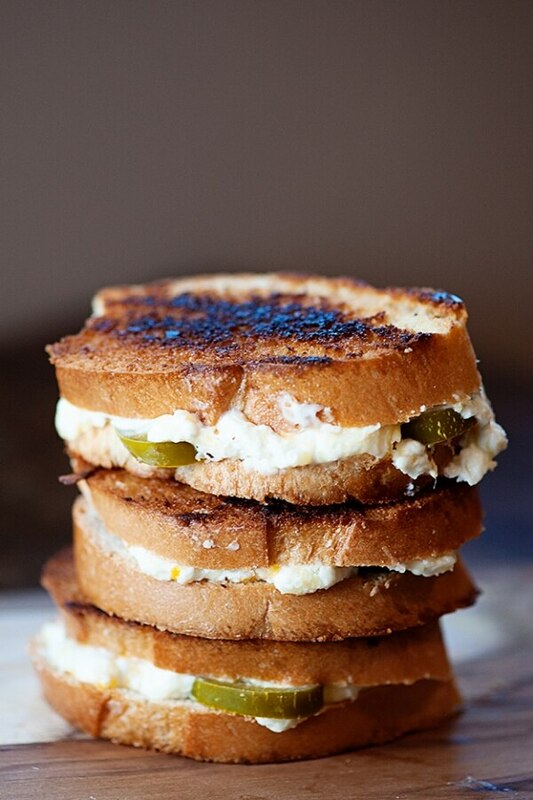 My Jalapeño Popper Grilled Cheese Sandwich is loaded up with plenty of melty cheese and spicy jalapeño peppers. 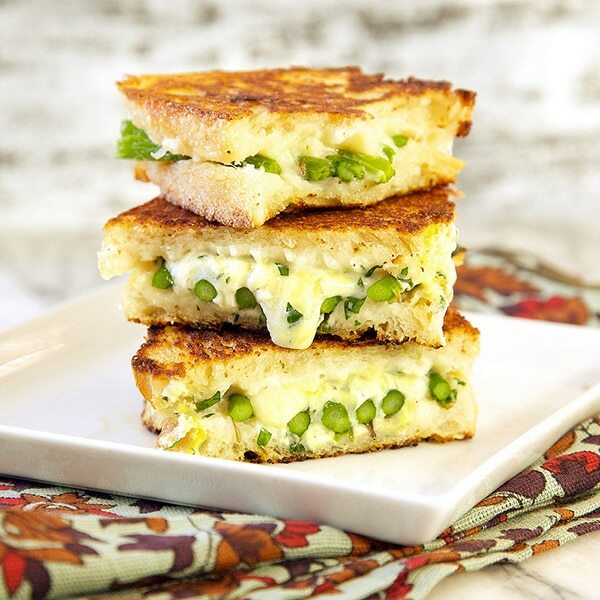 Once you try this kicked up version of a grilled cheese, you’ll never go back to the original. 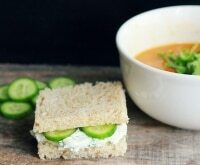 In a small bowl, combine the cream cheese, cheddar cheese, jalapeños, and juice. Stir well to combine. Spoon the cheese mixture onto the bread with the butter side facing out. Sandwich together to make 3 sandwiches. Place sandwiches into skillet and cook until golden brown. 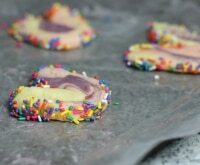 Flip and continue cooking until golden brown. 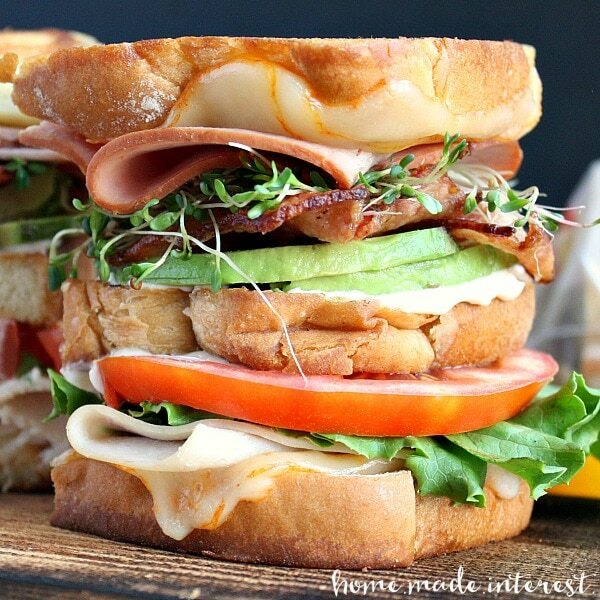 This sandwich is piled high with ham, turkey, bacon, avocado, lettuce, tomato, and sprouts. 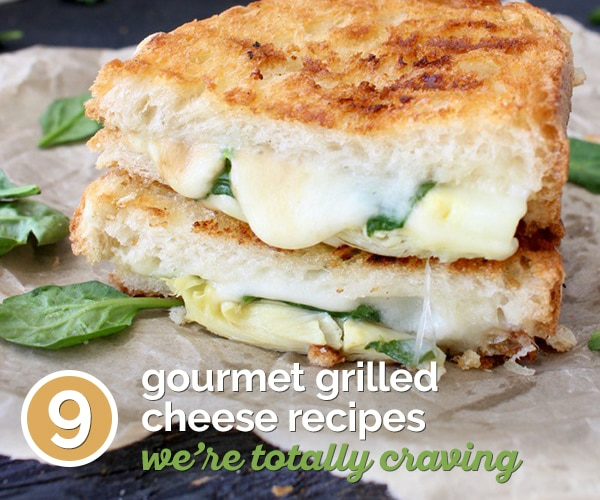 Of course, it wouldn’t be a grilled cheese if it wasn’t oozing with melted Munster cheese! 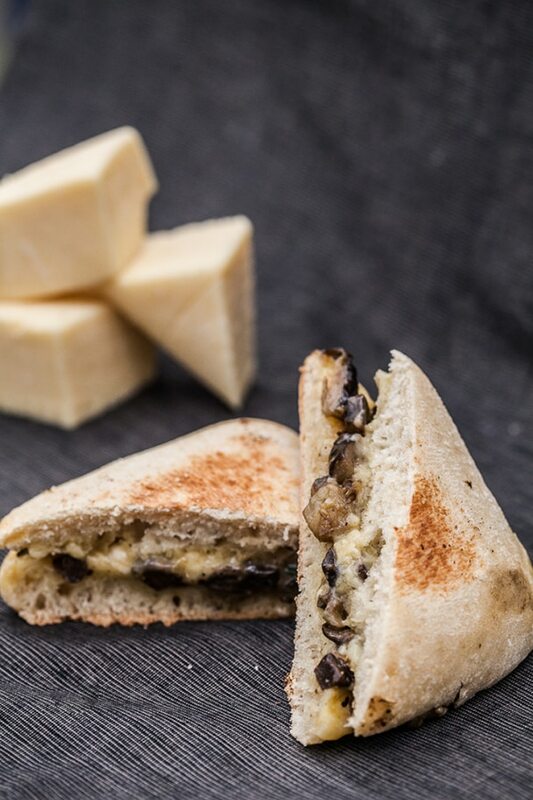 Packing in as much mushrooms, zucchini, and eggplant as possible in this garlicky grilled cheese keeps it extra filling and full of healthy goodness! It’s no secret that spinach, artichokes, and cheese belong together in dippable form, but who knew they’d make such a delicious and filling sandwich? 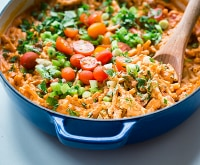 Speaking of dips — if you love dunking tortilla chips, pita chips, or even toasted bread into a warm, gooey mix of flavors, you’ll love these mouthwatering hot dip recipes! 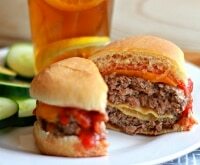 Forget the bowl of soup and munch on this cheesy sandwich instead. 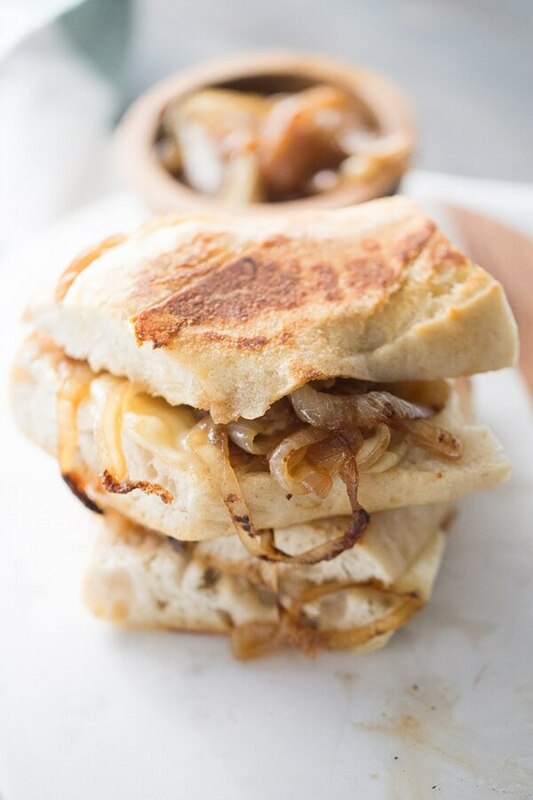 It’s positively loaded with caramelized onions! 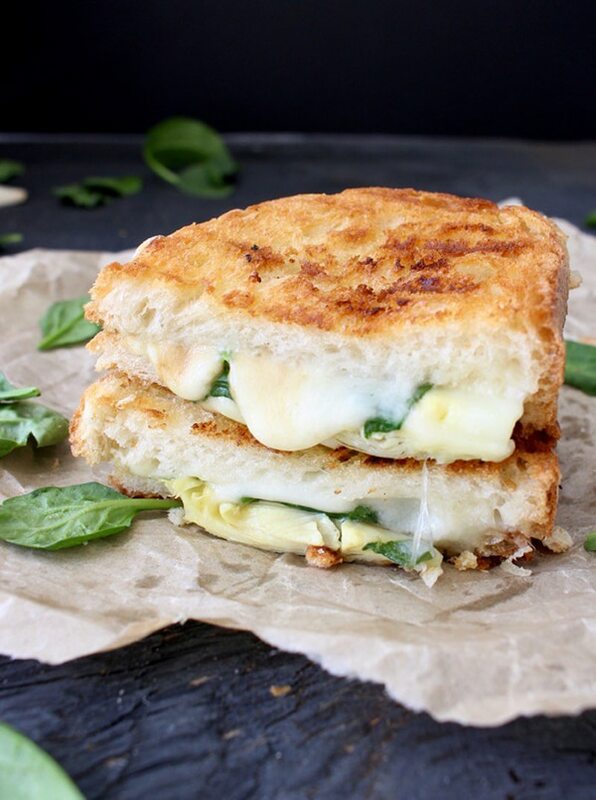 Skip the pasta in favor of this Italian-inspired grilled cheese. 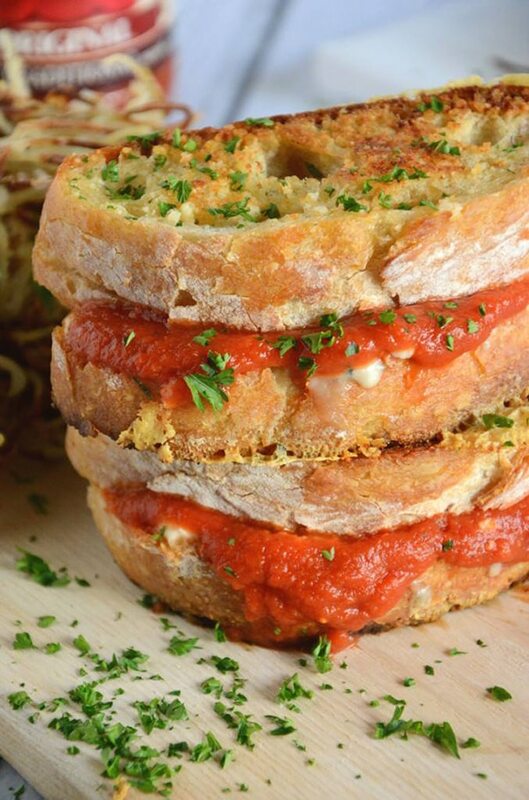 With three types of cheese and a layer of marinara, it’s sure to please. It’s the perfect time of year to enjoy farm fresh produce. Bonus points if you shove that produce in a melty cheese sandwich! Do you love asparagus? Take a bite out of 10 more healthy asparagus recipes, including this one for Roasted Asparagus with Lemon Browned Butter Balsamic Sauce! No bread? No problem! 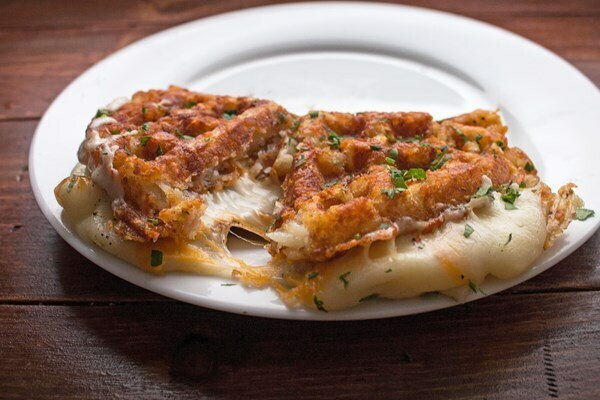 This grilled cheese is made out of tater tots and cooked in the waffle iron for a unique sandwich that’s positively bursting with cheese! Know what else you can make with tater tots? 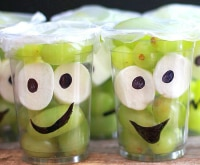 These fill-you-up egg breakfast bites! 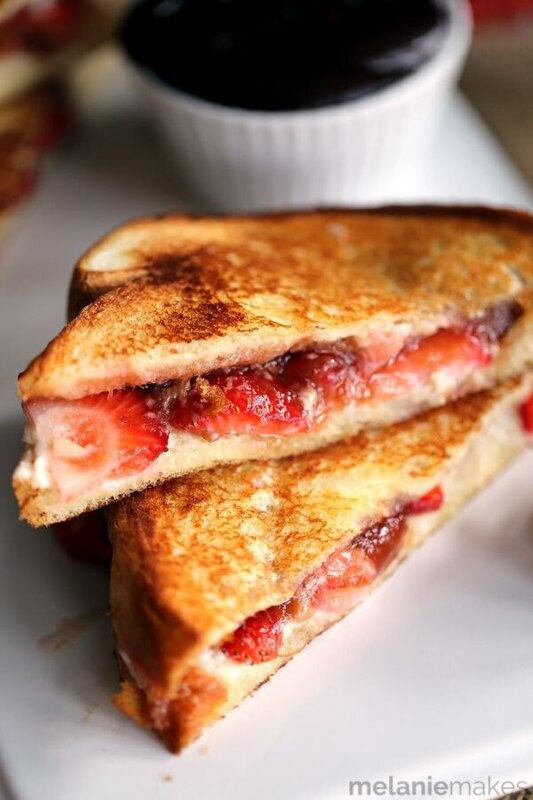 Any sandwich lover knows that a sweet, fruity grilled cheese for dessert is the way to go! 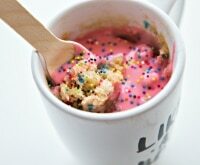 This one is stuffed with strawberries, rhubarb, and mascarpone cheese before being dunked in a tasty chocolate sauce! Get your fill of fresh, juicy strawberries and treat that sweet tooth to these amazing Strawberry Shortcake Stacks!